Serial killer Bruce McArthur has pleaded guilty to eight counts of First Degree murder. McArthur admitted to the murders of Selim Esen, Andrew Kinsman, Soroush Mahmaudi, Dean Lisowick, Majeed Kayhan, Skanda Navaratnam, Abdulbasir Faizi and Kirushna Kumar Kanagaratnam. Through a brief agreed statement of facts in court on January 29, it was revealed that McArthur was deliberate in the planning of the murders. A total of six of the eight murders were sexual in nature, involving ligature and confinement and some of the victims’ bodies were staged after they were killed. Crown Attorney Michael Cantlon said police found a bracelet during a search of McArthur’s bedroom. They also found a duffel bag with duct tape, a surgical glove, zip ties, syringes and a black bungee cord. DNA of victims was also found in his van and clothing. It was also disclosed that he kept a notebook belonging to Esen and Lisowick’s jewelry, both of which were recovered during the investigation. Haran Vijayanathan, the Alliance for South Asian AIDS Prevention executive director, said the guilty plea will result in some closure for the victims’ families. Det. David Dickinson, the lead investigator, recognized and acknowledged the family and friends of the victims in the case. 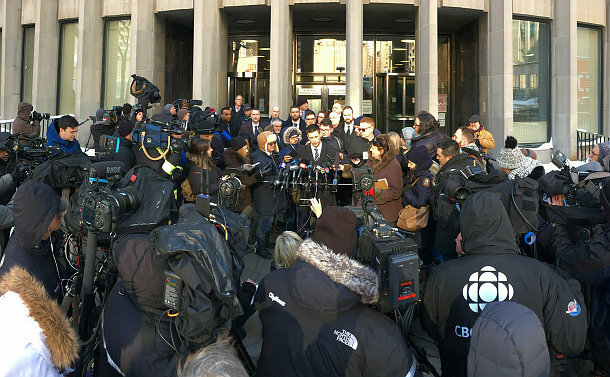 Dickinson said he and the investigative team are pleased that McArthur pleaded guilty. Insp. Hank Idsinga, the head of the Toronto Police Homicide unit, said the guilty plea is the culmination of a tremendous amount of work by investigators. Project Houston was formed to investigate the disappearance of three men known to frequent Toronto’s Gay Village between 2010 and 2012. They were Navaratnam, Kayhan, and Faizi. Project Prism was established to probe the disappearances of Kinsman and Esen. Dickinson came in for high praise from Idsinga. “His work during Project Prism and his work preparing the case for court has been outstanding,” Idsinga added. McArthur, 67, will be back in court on February 4 for a sentencing hearing.